The first rule is to carry your ice axe carefully. Keep in mind what its sharp points and edges could do to you or your partners. Whenever the axe is not in your hands, be sure it's secure against slipping down a snow slope or cliff. When you're on the move and don't need the axe, the best bet is to slip it through the ice-axe loop on your pack and strap it down (fig. 12-14a). It's a good idea to keep rubber or leather guards on the pick, adze, and spike, particularly on an axe that's sharp as an axe should be. If you're simply carrying the axe in one hand, grasp the shaft at the balance point (shaft parallel to the ground), the spike forward and the pick down (fig. 12-14b). During travel on snow that alternates with rocks or steep brush where you need both hands free, you can get the axe out of the way by sliding it diagonally between your back and the pack (fig. 12-14c). The spike is down and the pick, between the two shoulder straps, is well seated, clear of your neck, and pointing in the same general direction as the angle of the shaft. The axe can be stowed and retrieved quickly, and this works fine for short stretches. To avoid chances of a runaway axe, retrieve it before taking off the pack. How you hold the head of the axe when climbing in snow depends on your preference and on the climbing situation. 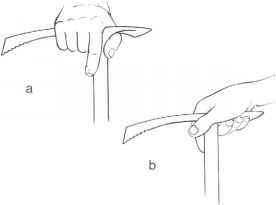 Seif-arrest grasp: The thumb goes under the adze and the palm and fingers go over the pick, near the shaft (fig. 12-15a). As you climb, the adze points forward. Self-belay grasp: The palm sits on top of the adze and the thumb and index finger drop under the pick (fig. 12-15b). As you climb, the pick points forward. Fig. 12-14. Carrying an ice axe: a, attached to a pack by an ice-axe loop, with guards on the pick, adze, and spike; b, in the hand while walking; c, temporarily between back and pack. Fig. 12-15. 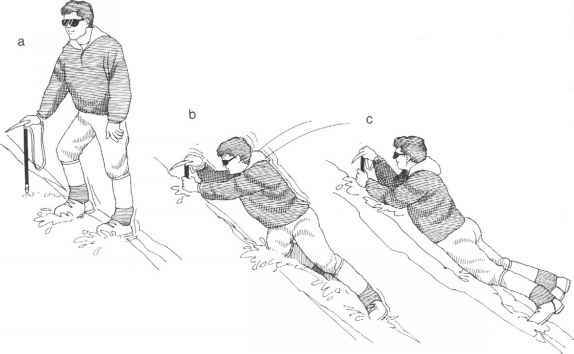 Grasping an ice axe: a, self-arrest grip; b, self-belay grip. slope. However, you're not going to fall very often, and in the meantime all the pressure of planting the axe as you climb is concentrated where the narrow top edge of the pick meets your palm. That hurts after awhile, and therefore you may not plant the axe as securely as you might otherwise. 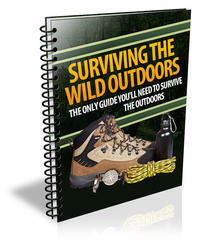 This compromises the safety of your critical self-belays (which are explained in the next section). their own. But knowing how to avoid the slide in the first place with a self-belay is as important as knowing what to do if it occurs. Fig. 12-16. The self-belay: a, climbing; b, falling; c, recovering. slope when the potential for a fall is the highest: when you are moving or when you are in an out-of-balance position. You can create the belay with either a self-belay grasp or a self-arrest grasp on the axe, though you'll probably find more power and ease in the self-belay grasp. Here's how to do the self-belay: be sure both feet are secure (in the position of balance described in the next section). Then jam the spike and shaft of the axe into the snow and continue to grip the head of the axe with one hand as you move a step forward with each foot. When both feet are again secure, pull the axe out and replant it farther along (fig. 12- 16a). Continue this procedure until you feel it's safe to proceed without it. Used like this, the ice axe is ready as a safety post as you are moving your feet. To be reliable, the shaft must be placed deep enough, in snow that's firm enough, to hold your full weight. If you slip, keep one hand on the head of the axe as you grab hold of the shaft at the surface of the snow and trust your weight to it (fig. 12-16b). The key to a successful self-belay recovery is the grabbing of the shaft right where it emerges from the snow, so that your pull is against the buried shaft while the hand on the head of the axe minimizes the risk of it levering out. Practice this technique on a slope of hard snow with a safe runout to develop the confidence to know when a self-belay will hold while you replant your feet after a slip. If you're on a climb and begin to doubt your self-belays, it's time to make a critical decision: whether to back off, to rope up, or to climb on, recognizing the risk you're taking. How to carry an ice axe without a pack? How to self belay with a prusik sling? 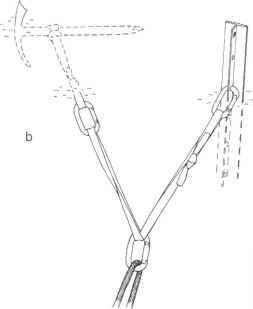 How to strap down ice axes? What is a shaft while mountain climbing? How to self arrest with ice axe? Can you climb a tree with ice axe? What rope to buy for self belay mountaineering? How do you store an ice axe between back and pack? How to self belay while top climbing? How to secure self belay? Can I leash my ice axe to my body for self belay?